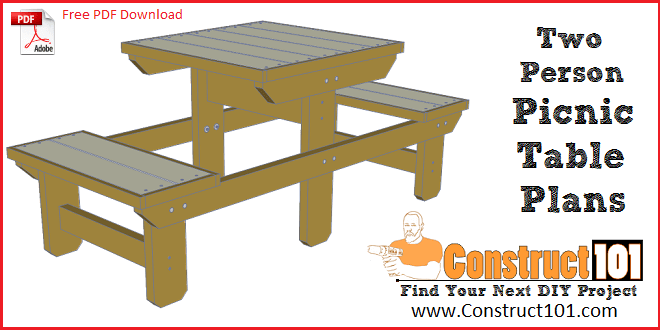 Two person picnic table plans. 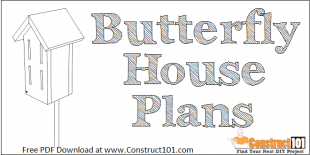 Plans include a free PDF download, shopping list, cutting list, measurements, drawings, and step-by-step details. 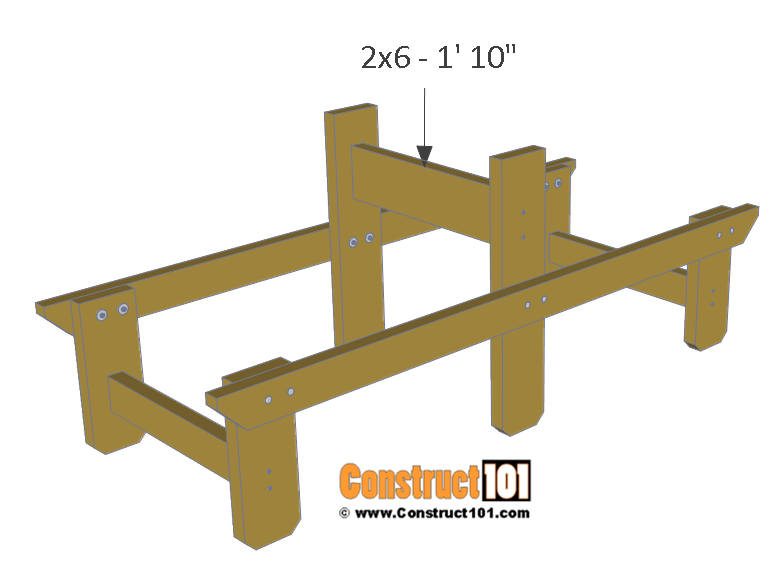 Cut four 2×6’s to 1′ 3″ long for the bench legs. Cut one end of the 2×6 boards as shown on illustration above. 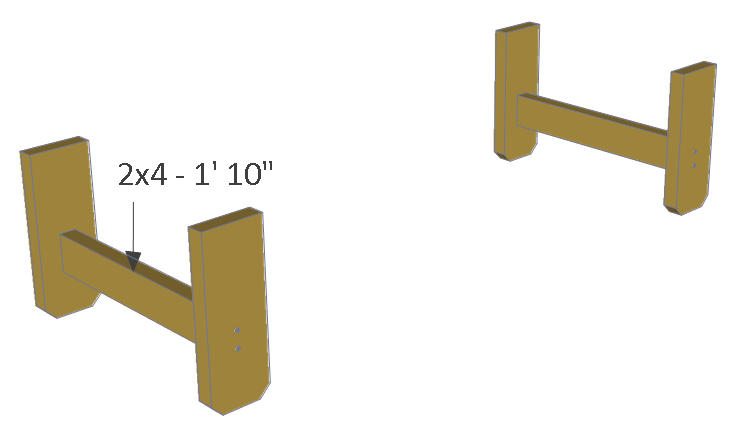 Cut two 2×4’s to 1′ 10″ long for the bench leg brace. 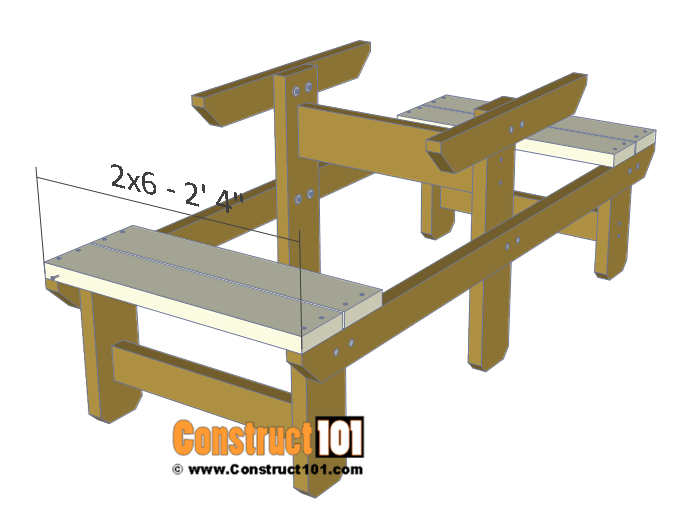 Pre-drill holes and attach the 2×4 braces to the bench legs using 3″ deck screws. 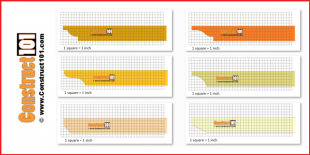 Cut two 2×4’s to 5′ 8″ long, cut 45-degree angle cuts to the ends of the 2×4 boards as shown on illustration above. 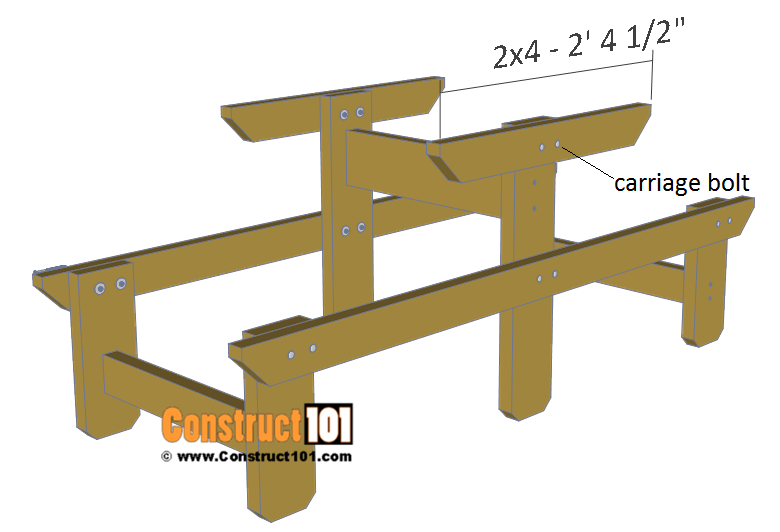 Install the 2×4 boards to the bench legs, use clamps to hold parts in place, drill holes and install carriage bolts as shown on illustration above. Cut two 2×6’s to 2′ 3″ long for the table legs. Cut one end of the 2×6 board as shown on illustration above. 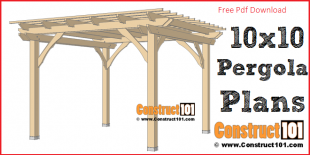 Install the table legs to the center of the 2×4 frame board. 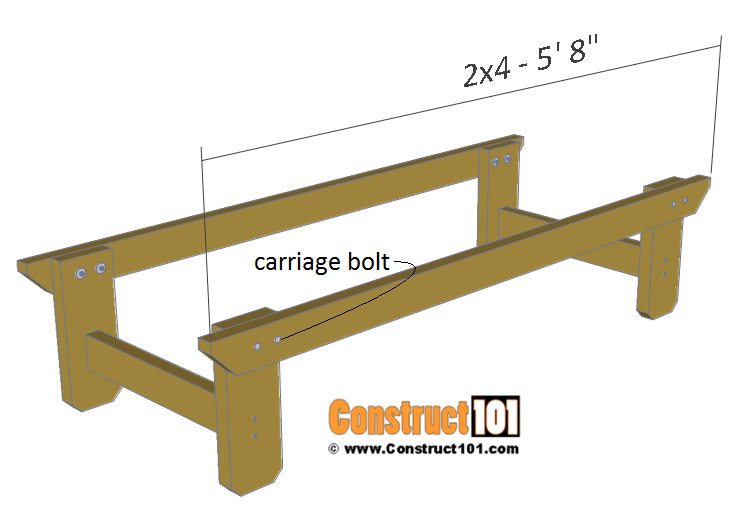 Use clamps to hold table legs in place, drill holes, and install carriage bolts. 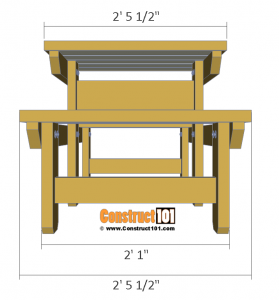 Cut one 2×6 to 1′ 10″ long for the table brace. Pre-drill holes and install the table brace as shown on illustration above using 3″ deck screws. Cut two 2×4’s to 2′ 4 1/2″ long for the table top support boards. Cut 45-degree angle cuts to the ends of the 2×4 boards as shown on illustration above. 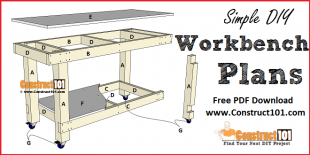 Install the 2×4 table support boards to the table legs. 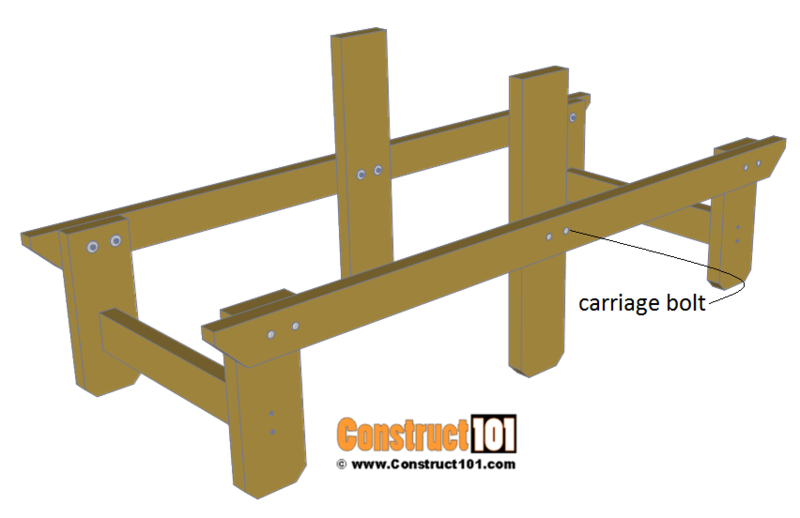 Use clamps to hold parts in place, drill holes, and install carriage bolts. 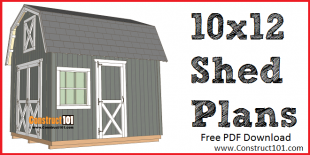 Cut four 2×6’s to 2′ 4″ long for the bench seat. 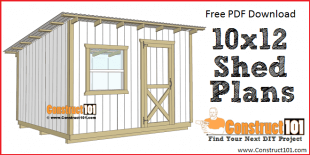 Gap the 2×6 bench seat boards 1/4″ between boards. 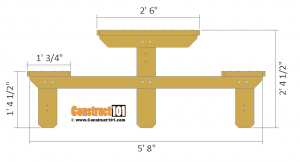 Pre-drill holes and install seat boards as shown on illustration above using 3″ deck screws. 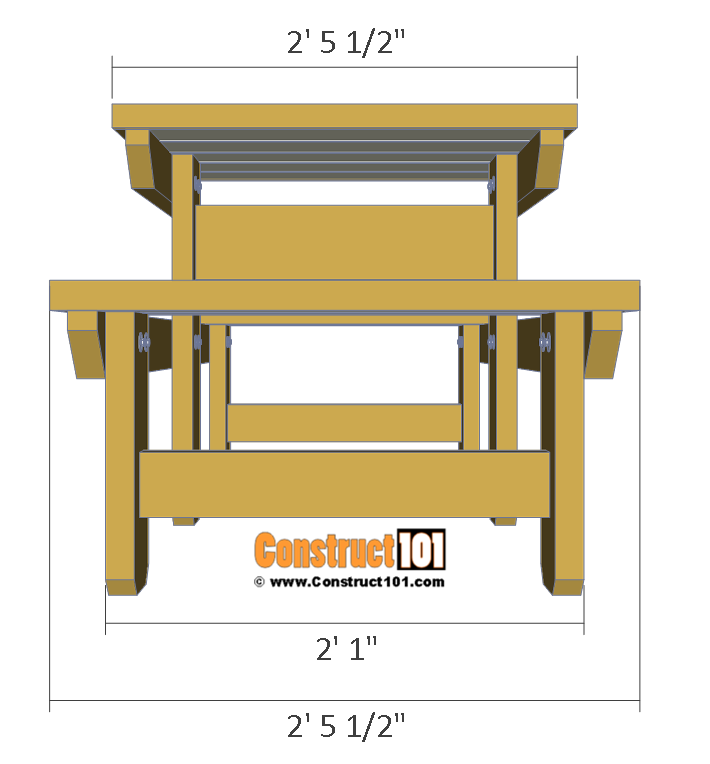 Cut five 2×6’s to 2′ 4″ long for the table top. Gap the 2×6 table top boards 1/4″ between boards. 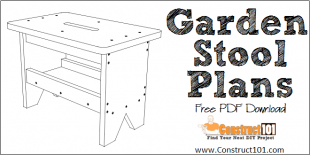 Pre-drill holes and install table top as shown on illustration above using 3″ deck screws. 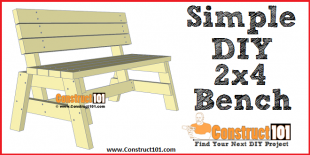 Add 2×2 trim around the bench seat and table top. 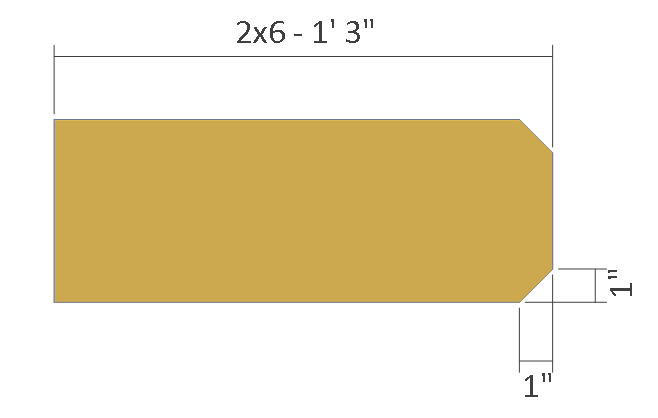 Cut four 2×2’s to 2′ 5 1/2″ long and four 2×2’s to 11 1/4″ long for the bench seat trim. 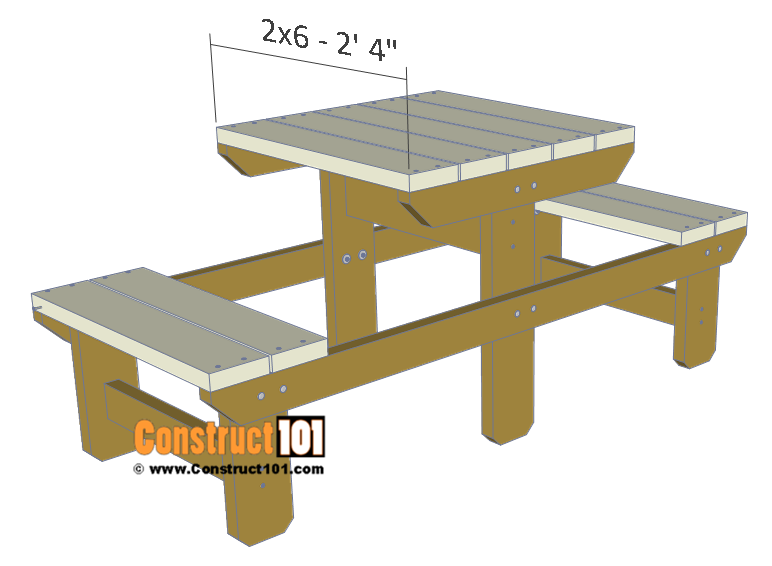 Cut two 2×2’s to 2′ 5 1/2″ long and two 2×2’s to 2′ 4 1/2″ long for the table top trim. 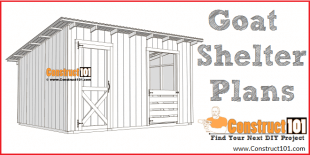 Pre-drill holes and install trim using 2″ galvanized finishing nails. 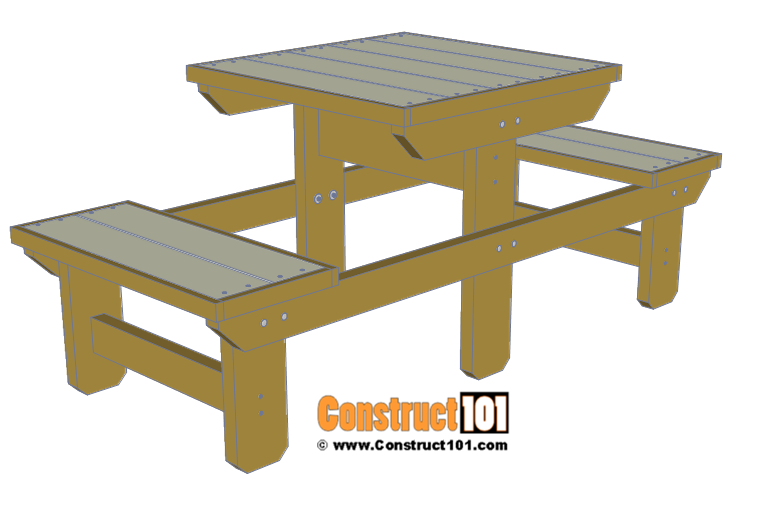 Like these two person picnic table plans? Let me know, leave me a comment below. Share this link with your friends and your social media, thanks.